The best, most delicious and easiest recipes from America’s favorite baking mix! 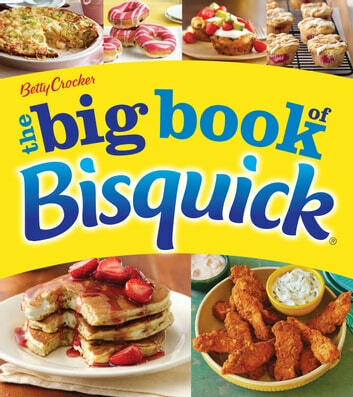 Since 1930, home cooks have relied on Bisquick to make delicious, home-baked treats and meals in a snap. This new collection brings together 175 classic and contemporary recipes you’ll love, like Thai Chicken with Spicy Peanut Sauce, Overnight Blintz Bake, Triple Cheese Flatbread, and Banana S’mores. Included are delicious appetizer, breakfast, bread, dinner, and dessert recipes, so there’s something for every occasion. Also featured are the much-loved Impossibly Easy Pies, which makes their own crust during baking; families will want to try Easy Barbeque Chicken Pie for a fun twist on dinner. 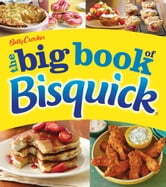 All Bisquick varieties are here—classic, Heart-Health, and Gluten-Free—so everyone can enjoy these special dishes. With 125 stunning photos, this collection is both inspiring and infinitely useful. Grandma’s Meat Pies: Savory, Low-Budget Meat Pie Recipes!